Successfully Added VKWorld T2 Dual Display Smartphone - Quad-Core CPU, Android OS, Google Play, Dual IMEI, Smart Wake, 8MP Camera to your Shopping Cart. 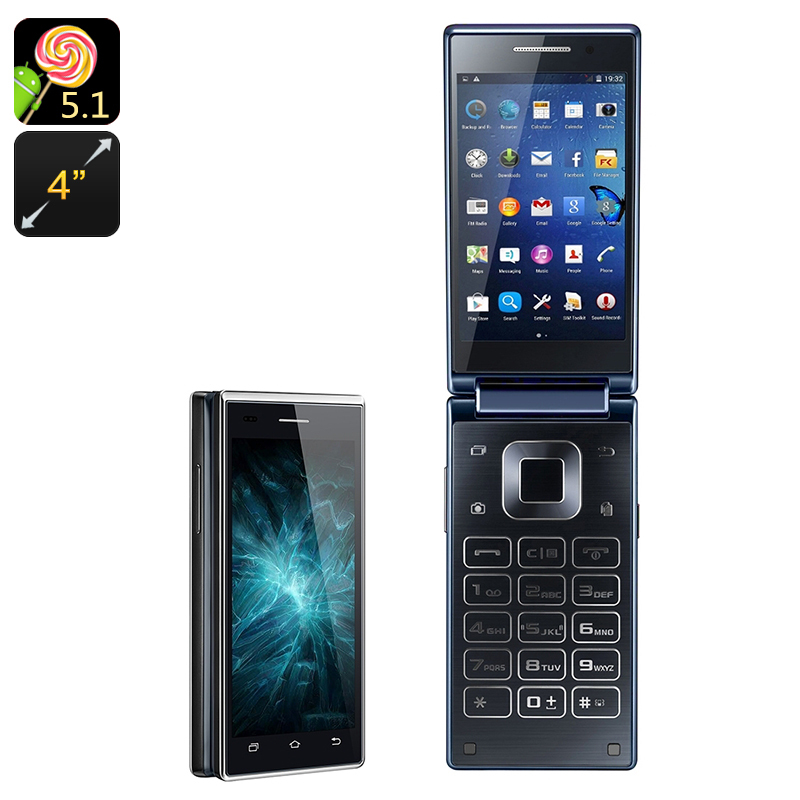 The VKWorld T2 is a truly remarkable Android Smartphone that holds not one but two displays. Combining traditional design and modern technology this Chinese smartphone features a Flip-open design. At the outside of this phone you can find a beautiful 4 inch touch screen that allows you to play games and watch movies alike. When flipped open a regular 4 inch screen along with a large keypad appears, allowing you to make phone calls, send messages, and browse the web. Its larger sized keys make this smartphone the perfect gadget for seniors that prefer traditional design yet are interested in some of the latest features the mobile market has to offer. Running on an Android operating system this dual display smartphone allows you to enjoy some of the latest features. Google Play allows you to download countless hours of media that can be enjoyed in great quality on one of the phone’s 4 inch displays. Its Smart Wake feature further enhances your user experience by letting you open your favorite Apps right from your locked phone screen without the need to unlock and navigate through your smartphone. Featuring a Quad-Core CPU and Mali-400 MP GPU the VKWorld T2 is capable of running some decent media and mobile games, offering plenty of mobile entertainment without having to experience any lag. Its 8GB of internal storage and 32GB or additional external storage offer enough space for you to save media, pictures, contacts, and a whole lot more. Dual-SIM and two IMEI numbers allow you to be available on two mobile numbers at the same time while being connected to two, separate, mobile network providers simultaneously. This makes the VKWorld T2 the perfect device to separate business and private life or to simply carry around while going on holiday and needing an extra foreign SIM card in order to stay connected to the local internet. Equipped with a nice 8MP camera this Chinese smartphone allows you to take pictures on the go, ensuring that where ever you’re headed not a single memory goes by without being captured. The VKWorld T2 comes with a 12 months warranty, brought to you by the leader in Android Smartphones as well as wholesale electronic gadgets..